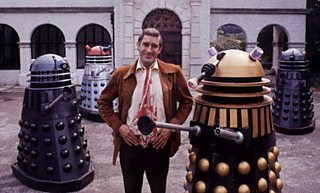 This Friday, 9 March, marks the 15th anniversary of the death of screenwriter and novelist Terry Nation, the creator of one of Doctor Who's most terrifying enemies, the Daleks. Terry Nation was born in Llandaff in Cardiff on 8 August 1930. A keen reader at school, he started writing from an early age and appeared in local stage productions. Nation left his job as a salesman at his father's furniture factory and moved to London when he was 22 to pursue a new career. "He wanted to be involved in anything to do with showbiz. He went to a local drama group and stomped around the stage being an actor, he played truant for one whole term to go to the movies every afternoon! "He tried stand-up comedy but his reviews were so incredibly awful he had to give that up. But somebody said, "you're bad, but your material's great", so he just stuck to the writing, which he had always done as a young man." Nation's attempt to forge a career as a stand-up comedian was flawed due to his poor stage delivery, but he approached the agency Associated London Scripts, ALS, when he learnt that they were looking for emerging comedy writers. The company's founders included Eric Sykes, Alan Simpson, Ray Galton and Spike Milligan. After Nation provided Milligan with a script for The Goon Show he was commissioned to write a new 13-week comedy radio show, All My Eye. 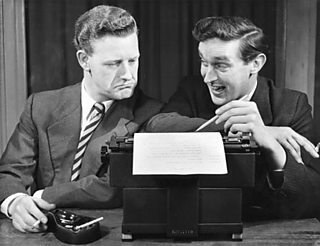 From this initial breakthrough Nation worked with many comedy stars of the day including Frankie Howerd, Terry Scott, Ted Ray and Harry Worth, and helped write more than 200 radio programmes before moving into television. In 1963 Nation was still predominantly writing for comedy shows when he got the call inviting him to write a new children's science fiction television show. At the time he was working with Tony Hancock but the two fell out after an argument leading to Nation's dismissal and, realising he was out of work, he changed his mind and took the plunge on the new series. It was called Doctor Who. The series introduced one of the Doctor's most fearsome extraterrestrial enemies to viewers. 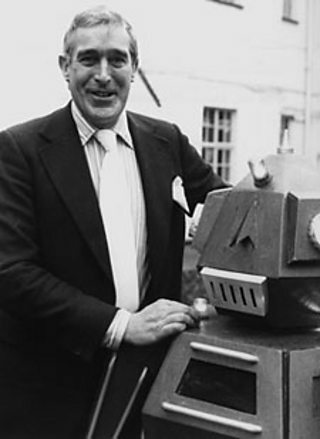 The Daleks, created by Nation and designed by Raymond Cusick, were an instant and enduring hit with viewers. The Daleks also brought Nation considerable wealth, as his agent Beryl Vertue had shrewdly negotiated a joint copyright deal with the BBC. In an archive clip featured in the Radio Wales Arts Show special, Terry Nation spoke of his inspiration for the movement of the Daleks. "I'd seen the Georgian State dancers on television just that very week, and the girls wore long skirts touching the floor that made a marvellous movement of gliding across the floor, and I thought 'that's the movement I want for my monsters'." Commissions for Sixties television series came flooding in after the success of Doctor Who, such as The Avengers, The Baron, The Persuaders!, The Champions, Department S and The Saint. Sir Roger Moore, star of The Persuaders! and The Saint, commented on working with Nation's material: "I was always glad to work with Terry's stuff. He had good structure and he wrote with humour. It wasn't difficult to learn his dialogue, things are easy to learn when they are well-written. Noël Coward was like that; to do Coward is very, very easy - to learn the dialogue - because it flows, and Terry could do that too." In the 1970s Nation wrote his first novel, Survivors, about the aftermath of a pandemic disease which destroyed nearly all of mankind. A commercial success, the book was adapted for the screen by the BBC with three series broadcast between 1975 and 1977. A remake was also produced in 2008 starring Max Beasley, Julie Graham and Paterson Joseph. 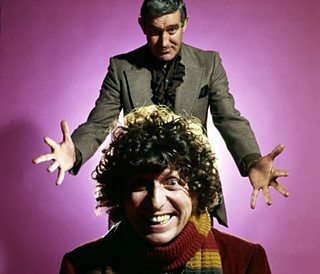 Blake's 7, another project for the BBC, brought more success in the late 1970s and early 80s. The programme, about a group of criminals on the run from the totalitarian Terran Federation which ruled much of the galaxy, ran for four seasons. Paul Darrow, who portrayed Avon in the show and who also appeared in the Arts Show special, said: "Blake's 7 was so clever because it was the first series where you had a hero who was an anti-hero. I thought it was the Magnificent Seven in outer space." In an interview in 1972 Nation spoke frankly about his work: "I yet have to write something of which I am pleased. I really would love to write a play for me, that I would enjoy. "I have never, ever sat and watched anything I've written without a sense of embarrassment and a sense of failed achievement. It happens to be up there on the screen but it was never the way I intended, it was never as successful as I hoped it would be." Nation and his family moved to California in the 1980s as he was commissioned to write a pilot show for Columbia called The Young Arthur. In the following years he pursued his career in America and worked for Paramount, Columbia, 20th Century Fox and MGM. He wrote a number of pilot scripts which failed to reach the screen, though he contributed to the television series MacGyver, A Masterpiece Of Murder and A Fine Romance. Nation suffered from ill health in his later years. On 9 March 1997 he died from emphysema in the Pacific Palisades district of Los Angeles aged 66.